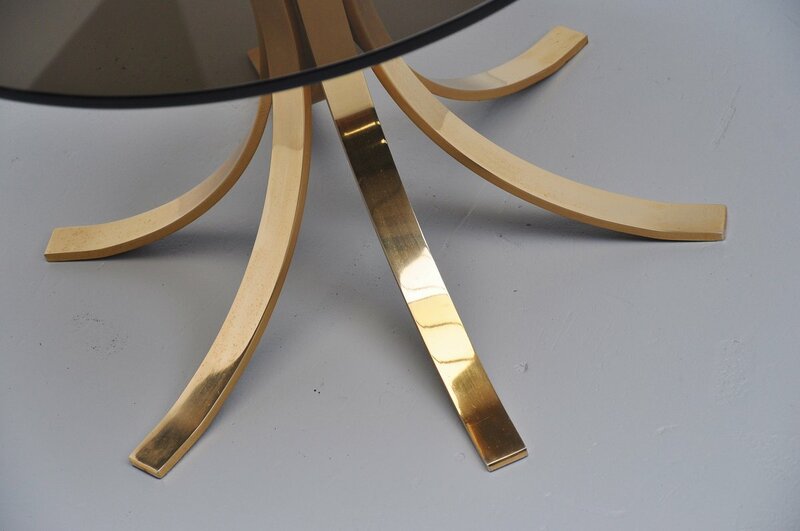 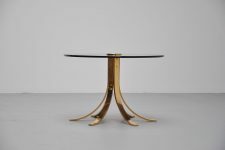 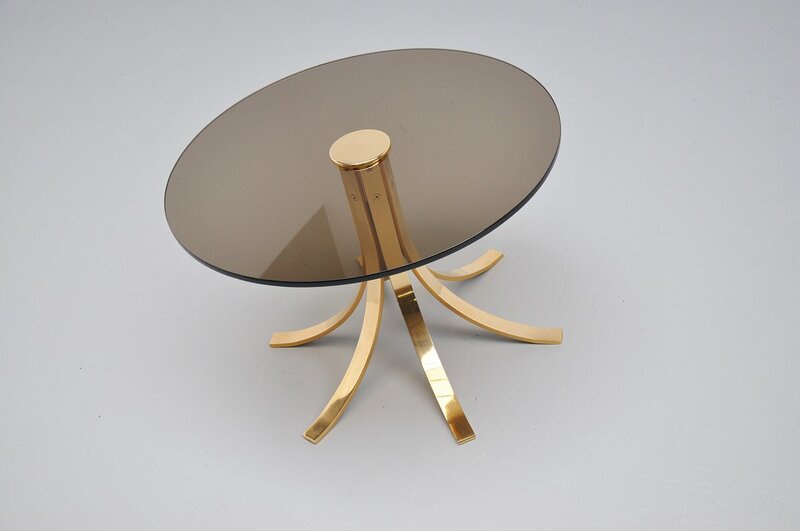 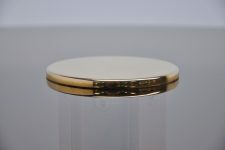 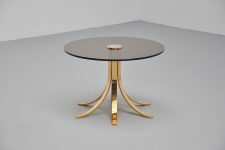 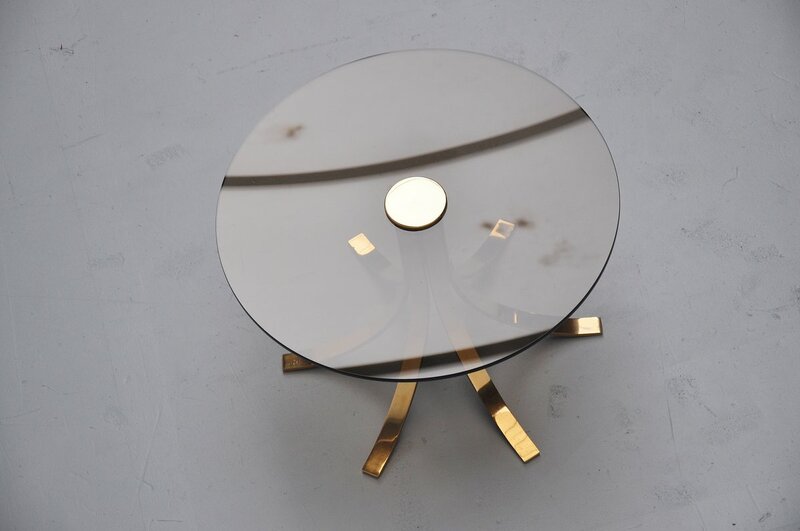 Very nice octopus shaped coffee table with gold plated metal and brown hardened glass top. 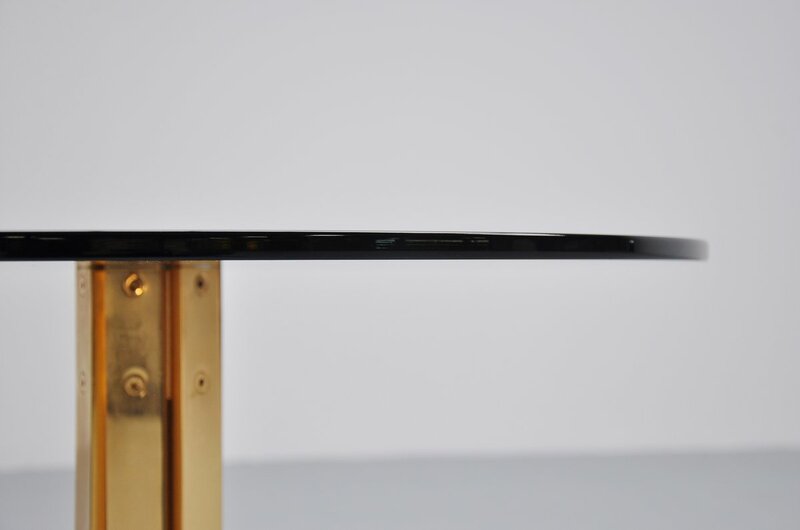 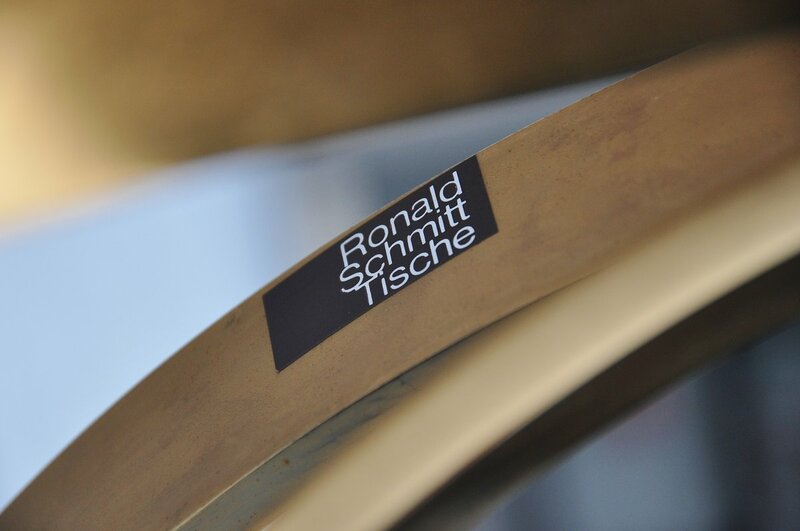 Very nice shaped table in very heavy quality where Ronald Schmitt was known for. 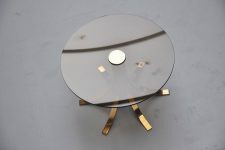 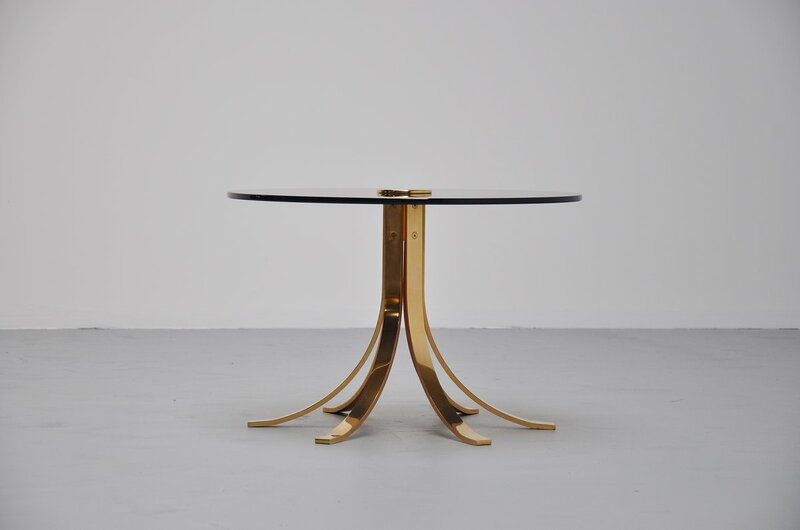 The table is in very good condition and would look highly decorative in any home or interior.